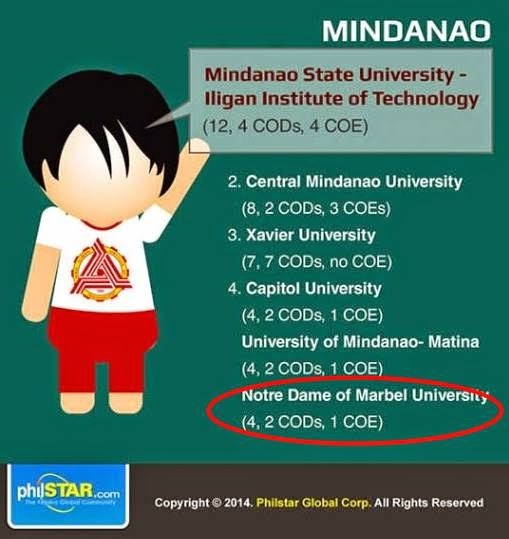 Notre Dame of Marbel University (NDMU) is among the top universities in Mindanao according to a ranking published by PhilStar.Com last May 27, 2014. The rankings was based on the most number of centers of excellence (COE) and centers of development (COD) awarded by the Commission on Higher Education (CHED). NDMU ranked 4th among universities in Mindanao. 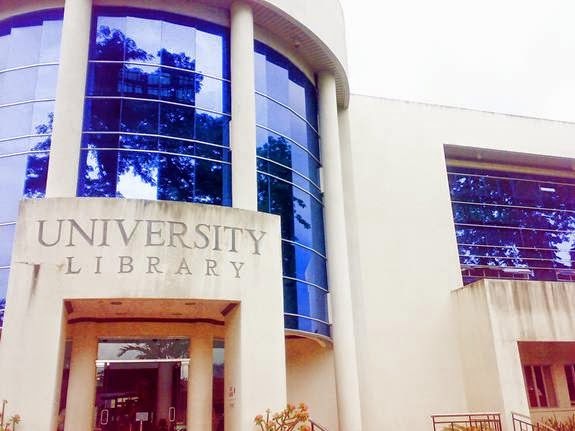 It has 1 COE (teacher education) and 2 COD (electrical engineering, information technology). According to CHED, COEs and CODs are either public or private higher education institutions which have demonstrated the highest degree or level of standard along the areas of instruction, research and extension.